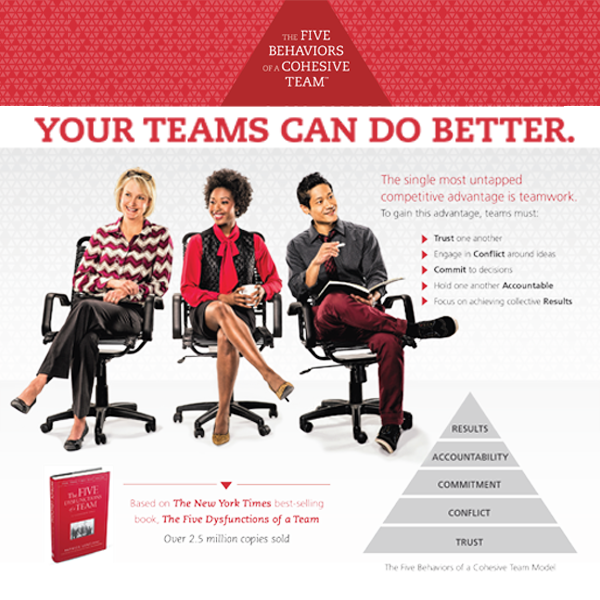 The Five Behaviors of a Cohesive Team™ is grounded in The Five Dysfunctions of a Team model from international best-selling leadership author Patrick Lencioni. Powered by Everything DiSC®—this program provides participants with feedback about their individual style, plus feedback about their team’s behaviors. national best-selling leadership author Patrick Lencioni. Powered by Everything DiSC®—this program provides participants with feedback about their individual style, plus feedback about their team’s behaviors.